"The last year and a half has been one of the most stressful times of my life dealing with family, work and school, and then planning a wedding. When I called you, it was like a large part of that weight I'd been feeling had been lifted off my shoulders! I had to be sure everything was perfect. You always stayed calm and assured me that you had my best interest at heart! And it definitely showed 10 fold! We are so thankful we chose Designs by Nishy and because of you and your team our wedding day was exactly as it should have been and much more! Your reviews have done you no justice you are just so much more and then that! "If we had to do it all again I would choose Designs by Nishy. The speed that she responds to emails is amazing. Nishy is very creative and bought my vision to life. 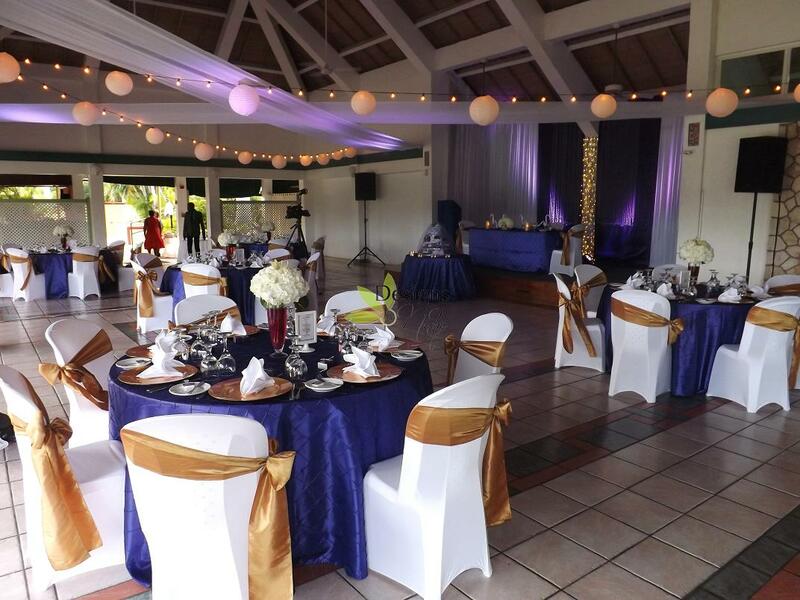 We had a few last minute hiccups (no fault of Nishy) and the guests were unaware as she is very professional." "Nichelle is the best, she so professional and responsive! If it wasn't for her my dream would of never came true, I really appreciate her. The best customer service I have ever had, I would recommend her to anybody!" 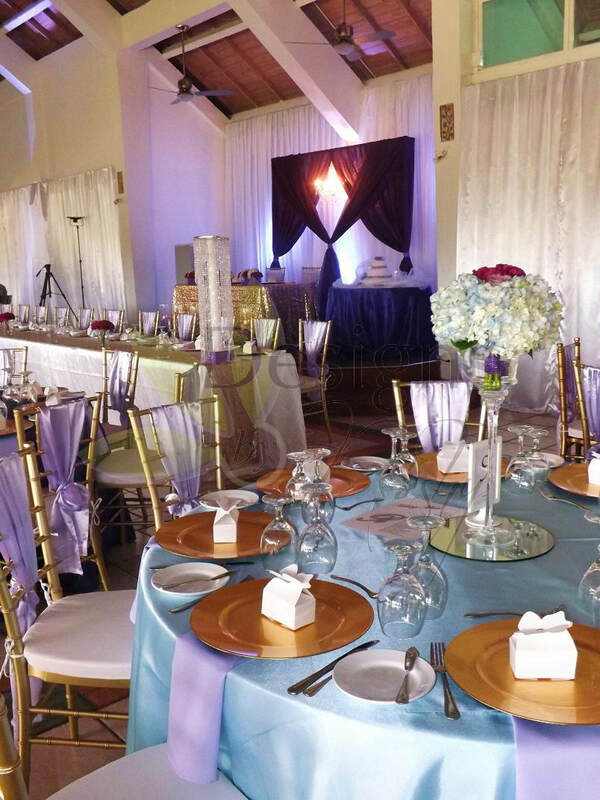 "Nichelle did a spectacular job with the decor for our wedding, from the blending of the colours together seamlessly, to the layout of the room and the backdrop for the sweetheart table; all was done beautifully. It was more than what I hoped and imagined it would be. She is very organized and prompt with responding to emails and messages. 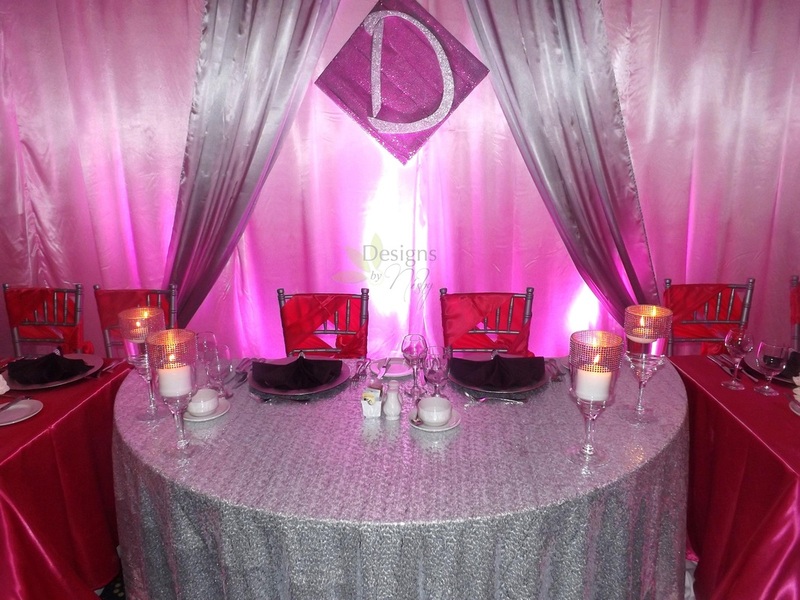 Using DBN decor services will definitely be one of the best decisions you can make for your Big Day. Nichelle much thanks to you and your team for making our special day so much more beautiful with your well executed decor, you are definitely in the right field, continue to do what you are doing". "Great working with Nichelle and team. 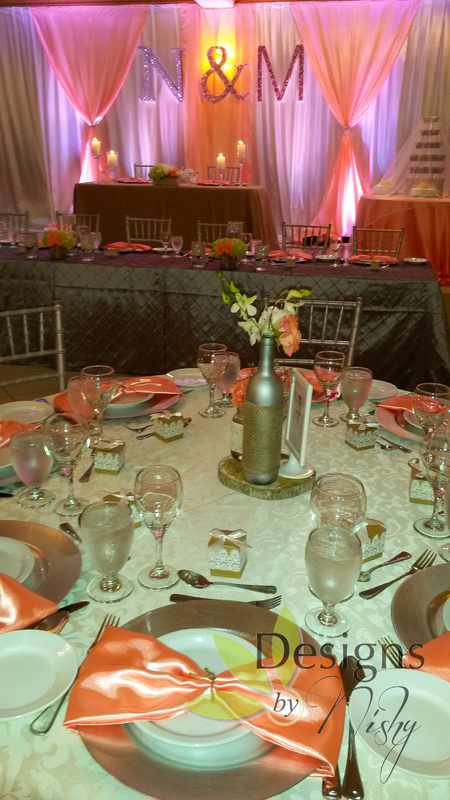 She provided rehearsal, day of coordination and decorating/design services. She understood our needs to keep the decor simple but elegant. She was flexible to work within our budget, responsive, organized and paid attention to the details. She kept everyone on schedule and adapted to changes as needed. 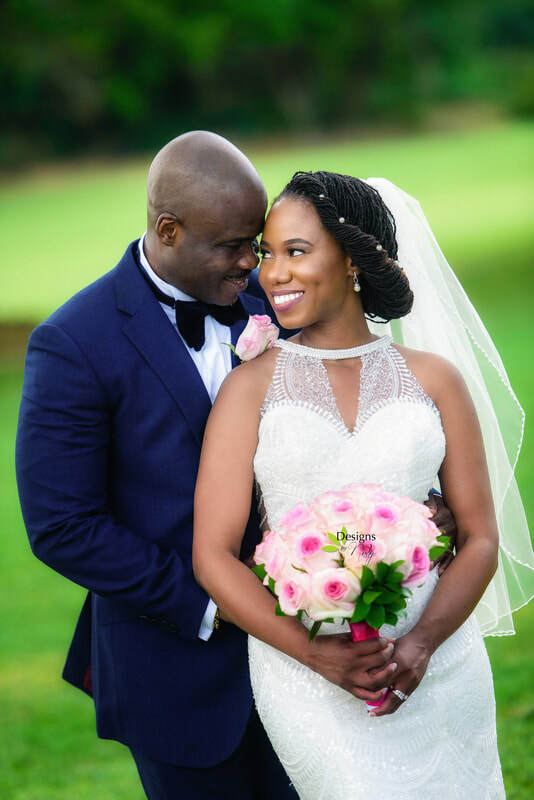 At first, I was a little nervous because I was planning a wedding from a distance and all our communication was over email but everything turned our beautifully." "Nishy is very professional and responds rapidly to any query that you may have. I say this because my husband and I experienced this; Nishy answered all the questions that we had and even provided advise on certain things that we were unsure of, which I must say definitely helped. Whenever we required a change (which was multiple times) Nishy was always patient and understanding in addition to remaining polite at the same time. If Nishy did not have anything that we required she was honest about it and would offer alternatives in order to accommodate our visions and requirements. She was also very flexible in terms of allowing us to have an input on certain aspects that she was unable to provide or perhaps we were not comfortable with and that meant a lot because not all wedding planers would do that. The fact that Nishy provided all that she had promised we respect that, not only did she deliver what was asked of her but she showed and proved to be genuine, kind and friendly. I asked Nishy so many questions and even repeated her answers back to her many times for clarifications and she answered every time with no hostility. 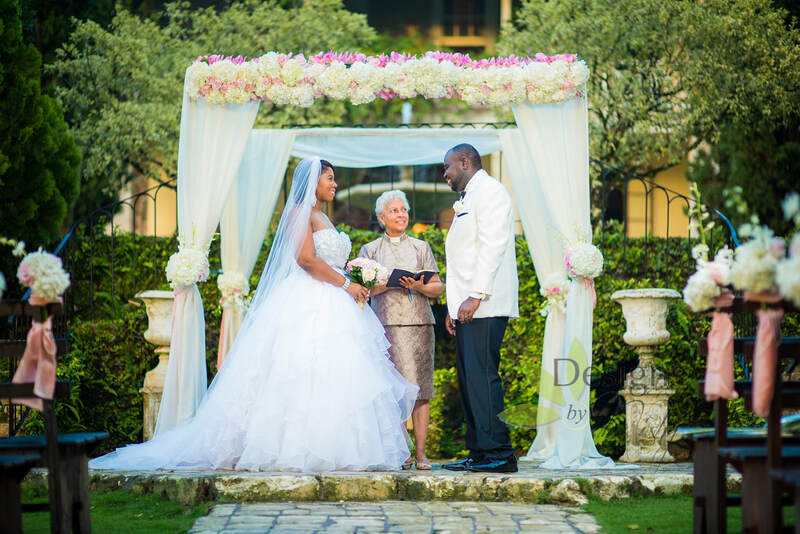 I recommend Nishy to any one who wishes to get married here in Jamaica. Another thing- I actually trusted in Nishy's work from the moment I found her website while looking for a local wedding planner and I was proven right. So thank you Nishy for everything, your work deserves the positive recognition." "Nishy is an amazing planner. I would recommend using her services for the entire wedding from finding other vendors to decor on the day of. She is easy to reach, responds quickly to emails and phone calls and is very professional. I am glad we used her services for our wedding. 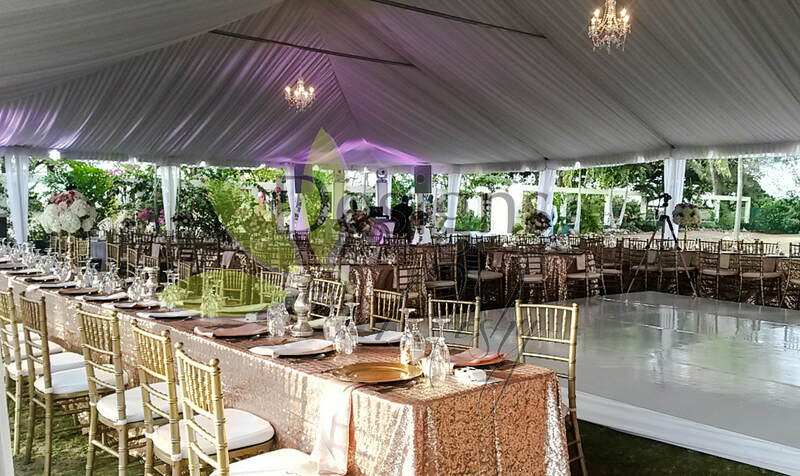 We were planning our wedding in Jamaica from across the way in Boston and it was extremely helpful to be able to rely on Nishy to take care of all the details concerning planning and decor. Our wedding day set up was lovely, just as we hoped it would be. If we had to do it again we would definitely choose Nishy." "Where do I start... Nichelle and her team were amazing to work with. It was hard enough finding someone you could trust living in Canada and not to mention 99% of the communication was done via email. From the beginning Nichelle was very responsive with the emails I mean sometimes within minutes. She is also very detailed with the day of coordination service that was provided. Things that I would never think of Nichelle covered with a check list and flow of the wedding list. And although I hired her for decor and day of wedding coordinator I feel as if she really helped and communicated with the venue for a smooth service. I believe her prices are very fair compared to some of the ridiculous quotes I received from other vendors. I had some issues regarding the venue and the number of guests attending the wedding and she was able to figure out a layout that would accommodate all my guests. When there were concerns I was notified right away and she was able to figure it out. I have no regrets in choosing Designs By Nishy. Even my husband, friends and family members were impressed by her services. Thank you soo much Nichelle!!! "Designs by Nishy was extremely accommodating, understanding, helpful, flexible and oh so friendly. Prior to planning my wedding I 'bumped' into to Nishy's site online and just fell in love with her work. I knew right then that I had to have the opportunity to work with her and her team. Not only did Nishy respond to our emails in a timely manner, she was courteous and so professional and down to earth that I felt at ease instantly. Friends and colleagues all wondered why I wasn't more stressed planning a wedding from Canada but Nishy truly lightened the load, eased anxieties and was there step by step through the decision making process. 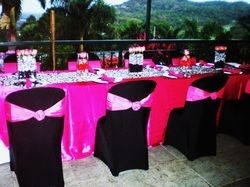 The day went beautifully;​​ I loved the decor and the colours were exactly what I wanted. My bouquet looked so amazing that I'm still talking about it! My husband really appreciated the time she took to oversee every detail that day. A heartfelt thank you to Nishy and team for making our day even more beautiful and beyond what we hoped for." From Mr and Mrs Mitchell"
"No one recommended Designs by Nishy to me but I knew what I wanted & just browsing the internet I landed on her page and was settled on Nishy doing my decor. She was even more detailed than I was. The longest response time is within a day. Excellent customer service, verrrry detailed, patient, professional, passionate about her work. The decor and on the day coordinator service was exceptional. I would recommend Design by Nishy to anyone. You won't regret it. Her level of detail and passion kept me confident that everything would be perfect. I could just relax and let Nichelle and her team execute, they were that good. 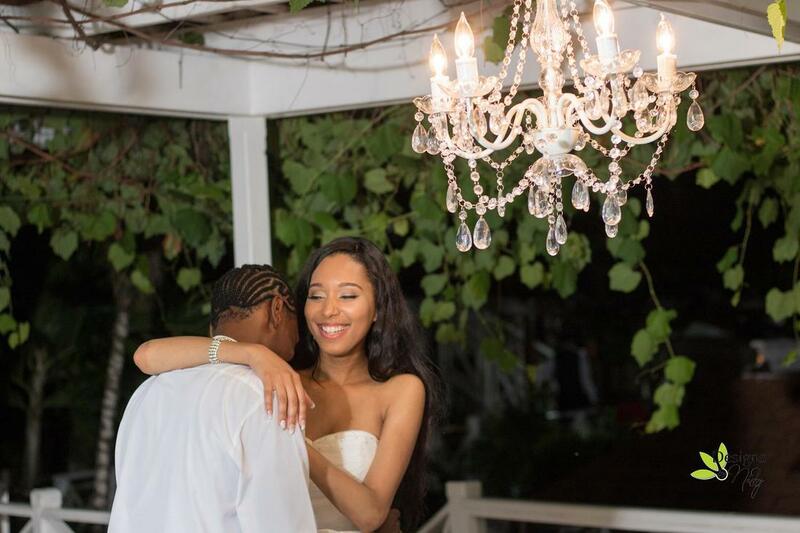 Nichelle, thank you for making my special day as beautiful as it was!!!" "I would highly recommend Designs by Nishy. Nichelle was a pleasure to work with and exceeded our expectations"
""Nichelle is what you call a "gem". After being so indecisive and changing the details of my wedding several times, she never once got annoyed or upset. Her approach was always... "ok so what do you want to next?". She knew exactly what I wanted and she delivered just that. She is very attentive, flexible and always goes above and beyond to make your vision reality. Nichelle....... from a long time friend I just want to tell you so the world can see, you are the best wedding planner ever!!!!!!!! "Nishy is amazing! When I initially started planning my wedding, I started with décor services. I contacted Nishy and received a response within 30 minutes. Her responsiveness immediately got me. She was very professional and detailed since our first contact. Professionalism is a big deal to me and she never fell short. I had a budget and she was able to work with me to meet it. She also has a wide range of inventory which met my needs. She is an excellent communicator. This was especially important for me since I live in Canada. I received Day of Coordination services was great. Nishy did all the work on my big and I was worry free as all brides should be. My wedding day magical. It was great seeing the way everything came together and Nishy made it happen. If you are looking, look no further! She will work her to make sure your needs are met and that your dreams come true. Thank you so much Nishy!" 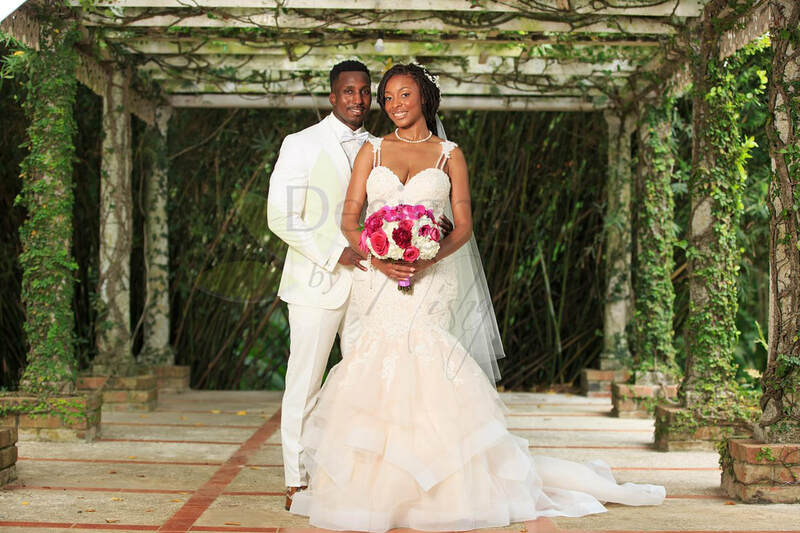 "We would definitely recommend Designs By Nishy! Nichelle is very accommodating ,professional and her work is on point. I wanted a simple and elegant feel for my wedding and she delivered just what I wanted. She respects your budget and willingly makes additional recommendations when needed. Nishy is the type of person you can have full confidence in ,because she delivers. Book her , relax and expect to be wowed on your day." 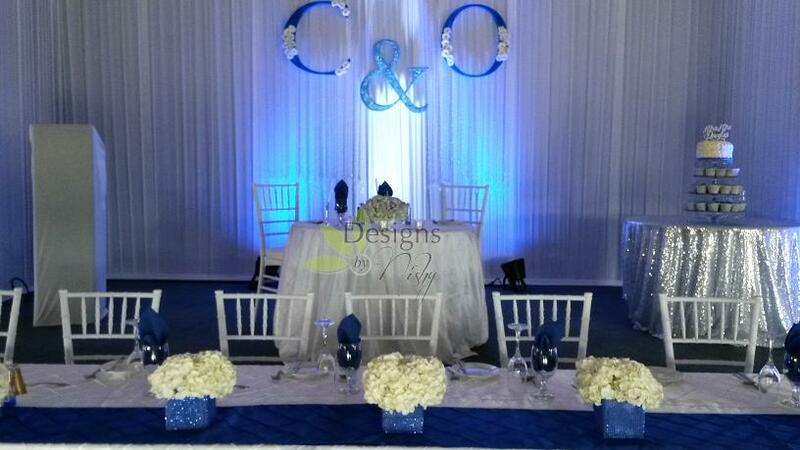 "Designs by Nishy offer professional services that will take any idea and transform it into a magical experience!" "Highly, highly, highly, highly recommend Nishy!!!! She responded to all my inquires very quickly and was very affordable. 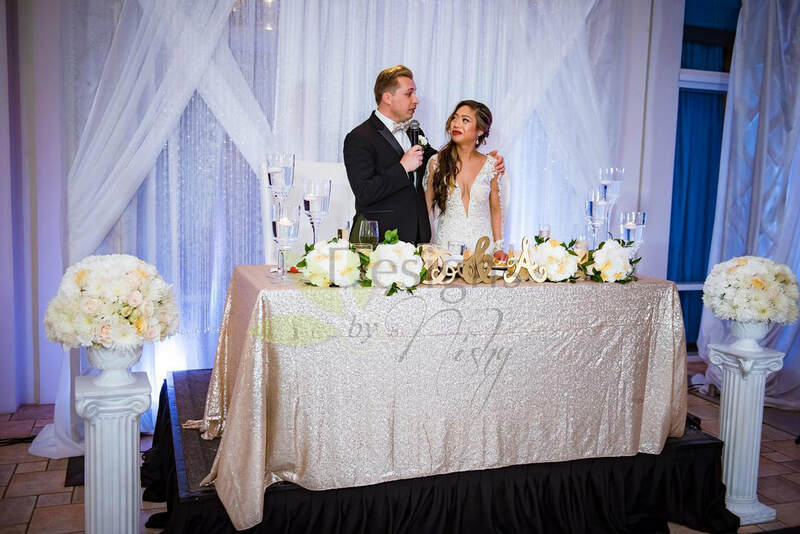 My wedding was 7.23.16 at Secrets Wild Orchid and she exceeded my expectations!" "Designs by Nishy - Amazing. If you need a team that will work with you and your budget, a team that's flexible and gives you what you want, a team that brings your vision to life? This is decor team to choose. We loved it. Definitely give them the opportunity to wow you on your day. You will not regret it. We walked in our ceremony and reception and Nishy and her team blew our minds...We knew she would get the job done but her execution of our vision was on point. Money not wasted... this money was well spent. She also offered a complimentary coordination service and she was on top of all things. If we were to get married again hahaha to each other of course in vows renewal setting or even to recommend to friends and others? Designs by Nishy would be our choice...from experience, from feeling, from knowing. Thanks Nishy we can't tell you enough how much we were impressed and comfortable in knowing that when you said 'I got this' means you have it." "I got married on February 27,2016, Designs by Nishy was my planner and she was excellent from the very first contact. She was a fast responder and that was my reason for using her, I thought it would be difficult planning a wedding from overseas but i was in good hands. Nichelle is very resourceful, flexible and dependable .Her contracts are very detailed so you know exactly what you are paying for. She was also my day of coordinator and because I had been working with her on the planning for a few months I understood her professionalism so on the wedding I was not worried about anything because I knew she would make my day perfect. All the attendants at the wedding were in awe of the decorations and flowers that she provided. My overall experience with Nichelle is a 10 and I would use her or recommend her for all parties or weddings because she knows how to make dreams come true." "Designs by Nishy was a superb vendor! She took my ideas and brought them to life. She made the entire process easy and stress free. My husband and I greatly appreciate all she and her team did for us!" "Nishy was great to work with, very professional and responds in a timely manner. I planned my wedding from the US and Nishy was able to understand the concept and the atmosphere I wanted to create and executed it perfectly. My husband and I were very pleased. 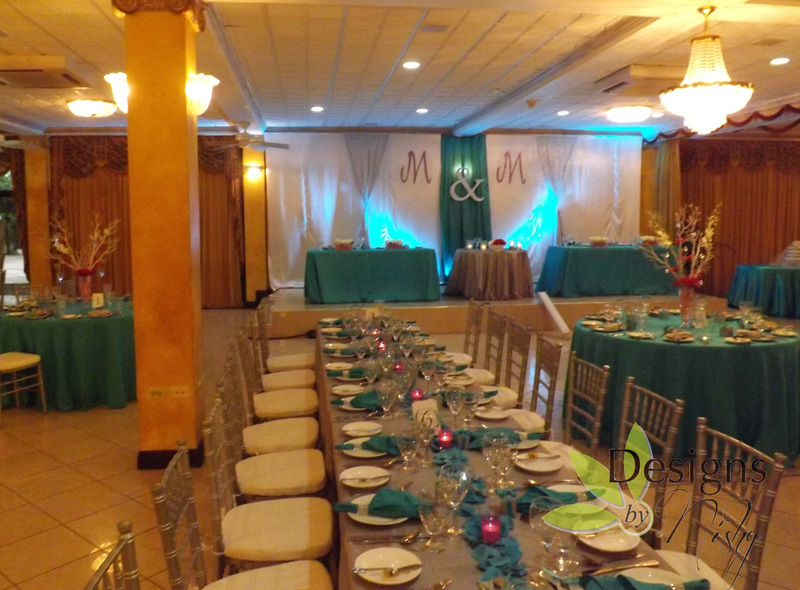 We had a slight problem with the reception venue and she was very helpful in trying to smooth things over and was very understanding and accommodated us as we tried to resolve the situation. I would hire her for all my events. 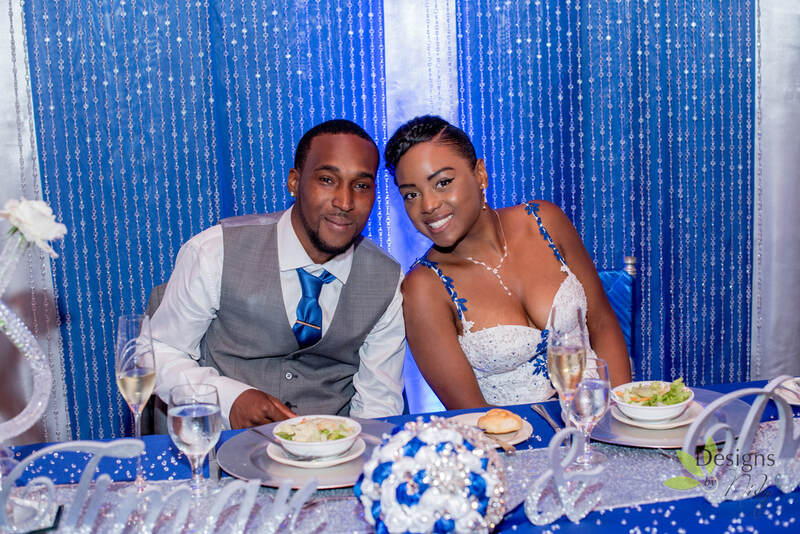 Excellent work Nishy...Kadi & Doug 10.10.15"
"Nichelle and her team made my wedding very special, from decorating to coordinating, it was all on point. Don't wonder if you should hire her, just do it, she won't disappoint. "Being on a tight budget, I first contemplated the DIY option for decorations. I'm SOOO happy I changed my mind and decided to go with Nishy. She is extremely responsive, attentive to your needs, attentive to your budget, and has great suggestions. I will never forget the feeling I had when I looked out of my room window and saw the ceremony set-up and thought "wow, is that my wedding!!". It was all surreal. Similarly, the reception was perfect! I felt like I was walking into a fairy tale. 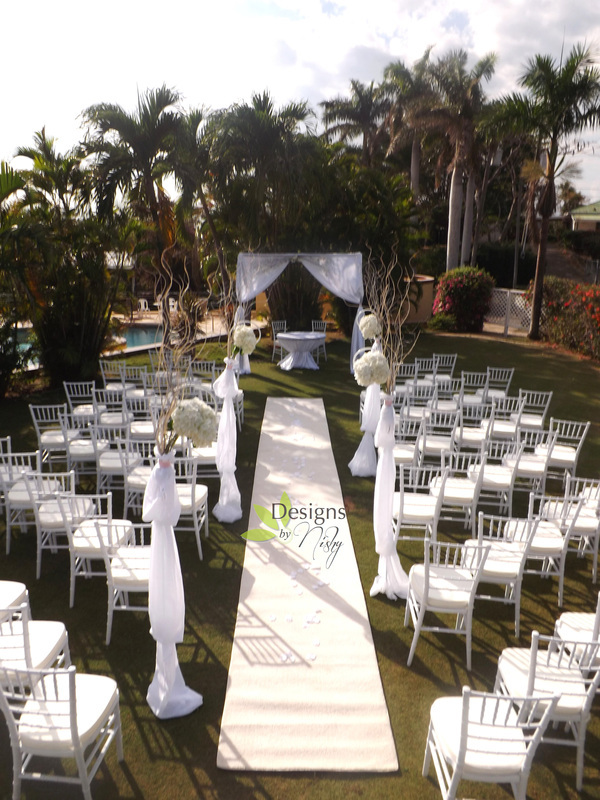 She is extremely professional and even visited the resort prior to the wedding to meet with the wedding planner to go through the details, out of which she made additional recommendations. Best of all, on my wedding day, I had nothing to worry about except myself (which is how it should be!). She had everything under control, and based on our experience throughout the entire planning process, I had full confidence that things would go well. It's about a month after the wedding and I'm still getting compliments on how beautiful it was. I would highly recommend Nishy to anyone. Even if you're thinking about doing things yourself, I'd recommend checking her out prior to making a final decision. You might be surprised!" "We cannot say enough good things about Nishy,hiring her was without a doubt the best decision we made for our wedding! From our very first meeting I felt that our wedding was in very capable hands ...We can honestly say we think We under paid her for the amount of services she provided. She is a legit pro and has the demeanor of someone who certainly knows her stuff. She was very easy to get along with always asking if we have any questions and giving suggestions , her service was just out of this world. Our wedding looked absolutely fabulous as if we spent million of dollars but we didn't. The entire planning of my wedding was worry free..I'm a person who pay close attention to details, Nishy absolutely exceeded my expectation....the vendors she recommends for the cake, the DJ, the photographer, videographer and the makeup artist were very very professional. Everything was intact all the T's were crossed all the I's were dotted. We highly highly recommended Nishy. She really makes Ordinary, Extraordinary, because there was nothing Ordinary about our wedding! "Nishy, let me tell you how happy I am with the work you and your team did for my wedding. You captured my vision perfectly. My guests and I were blown away by your expertise, your attention to detail and I especially am so thankful for how quick you were in resolving any issues that came up on the day. I get constant compliments about the decor and the evening on a whole. 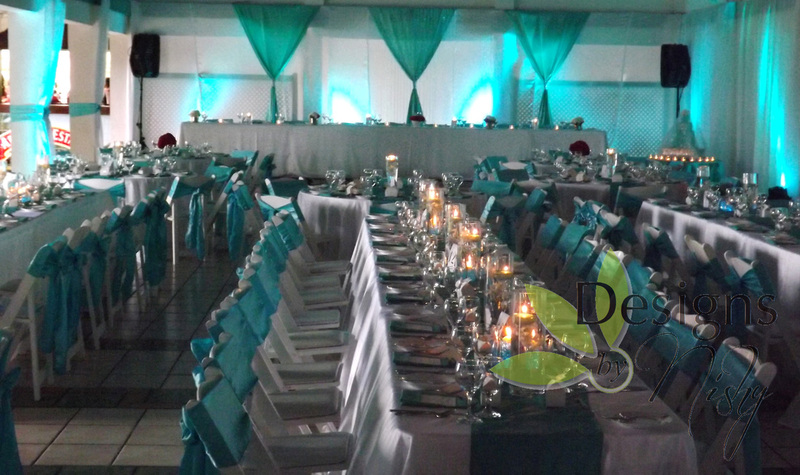 I would recommend anyone having a function in Jamaica to use your services. Thanks so much again Nishy!" "This was absolutely the most beautiful wedding setting I've ever seen...as the mother of the bride I want to thank you very much for the wonderful work that you had done...absolutely splendid....and I wouldn't hesitate to recommend you highly....tnx a million"
"Designs by Nishy ("Nishy") executed our dream wedding with perfection!!!! 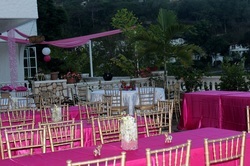 Nishy was recommended by a very prominent wedding venue in Kingston, Jamaica. We immediately gravitated to Nishy as their Nichelle Thompson responded to our email very promptly (within 24 hours). From the very first response, Nichelle brought professionalism, excitement, ideas, creativity, zeal. She made us feel as if our wedding was the only wedding on her agenda! she always made time to respond to our many queries and to assure us that our wedding was going to be beautiful. We started discussing our wedding with Nichelle about 14 months prior and over those 14 months Nichelle was with us every step of the way! Her attention to detail, to our requests and to our vision was remarkable! She also assisted us in many others areas apart from decor and coordination by referring excellent service providers in other areas whom we used in our wedding and are extremely happy with the service. Nichelle and her team were very courteous and accommodating even when we made changes with the wedding numbers or even decor plan. She is very knowledgeable in the area and gave us very good advice for the overall execution of our wedding ....even in areas that were outside of her role as decorator and coordinator. Nishy is an asset to your wedding arsenal and your team for your wedding day .....we felt safe because we knew Nishy would ensure that our day would be beautiful. When we saw our wedding day decor our mouths dropped! it was gorgeous....we ooooohed and aaaahed in amazement as our decor was spectacular! we look at our pictures and are amazed at how beautiful our wedding was. Our guests also expressed how much they were wowed! by our beautiful decor. The mother of the bride still speaks about how efficient Nishy was on our wedding day. Our wedding day was perfectly coordinated! if there were any glitches we didnt know! the day was perfect!! DESIGNS BY NISHY IS THE BEST!!!" 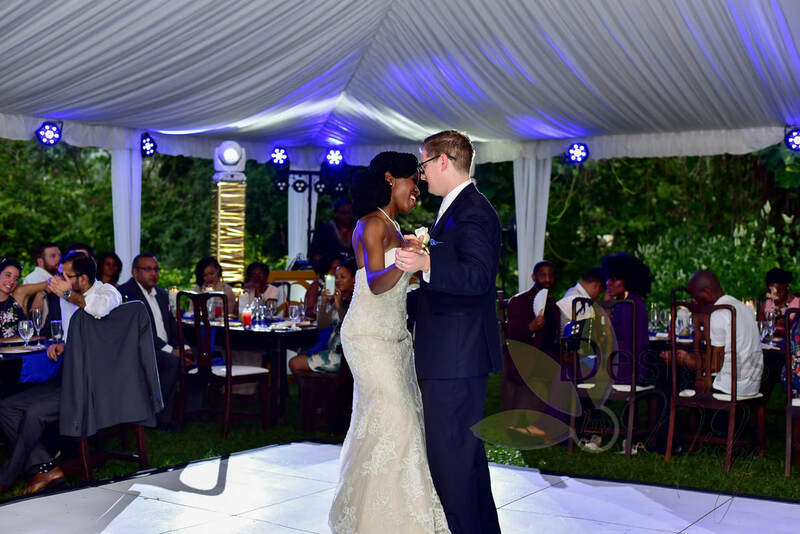 "We found Nichelle and Michael after we became unhappy about our decorator a few months before our wedding. 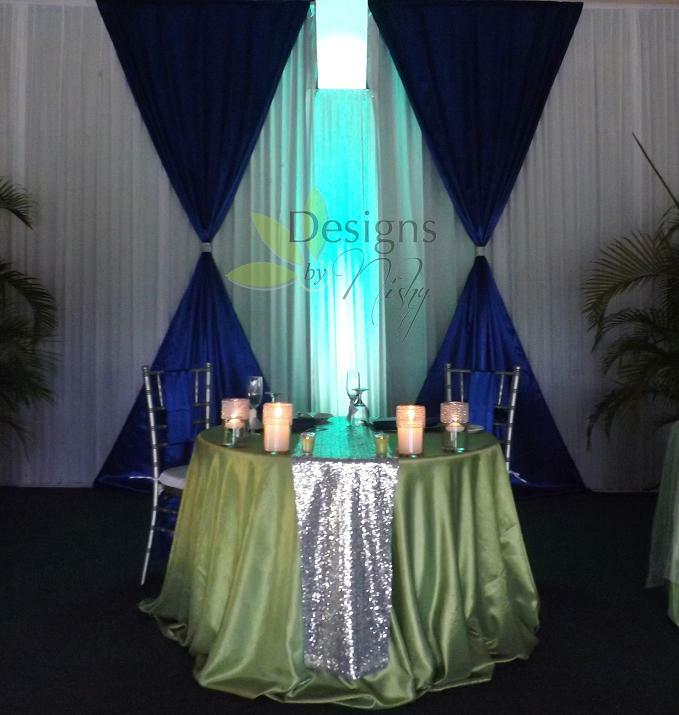 My fiancee remembered meeting a decorator that we liked at a wedding show a few months earlier and how impressed we were with her work. A quick internet search led us to Designs by Nishy's website and I was wowed by the pictures of their work. We left a message on the voice-mail that night and we were quickly contacted the next morning.I had also left a message on their Facebook page and I was also contacted there. We soon exchanged email addresses and by that afternoon I received my first quote! I was pleasantly surprised by their responsiveness as well as the detail included in the invoice after such a short time. The cost was also affordable, which was one of our biggest concerns at the time. We decided to go with Nishy and I was not disappointed! Our wedding was gorgeous and my inspirational photos were taken into account and customized to us and our budget. 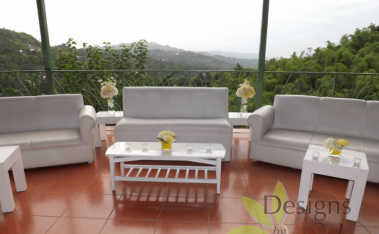 I'm very happy that we used Designs by Nishy as our decorator and we highly recommend them!!!" "We would like to thank you for all the wonderful work you put in that made our special day so beautiful. We loved absolutely everything! :) We are really happy that we choose you. Thanks again and continue doing such great work." "I want to tell you a massive thank you for your help. I was truly amazed with the room, it was fabulous, Nicholas did a wonderful job. Continue to do the amazing work you're doing and God Bless to you and your team." "Nishy was awesome! 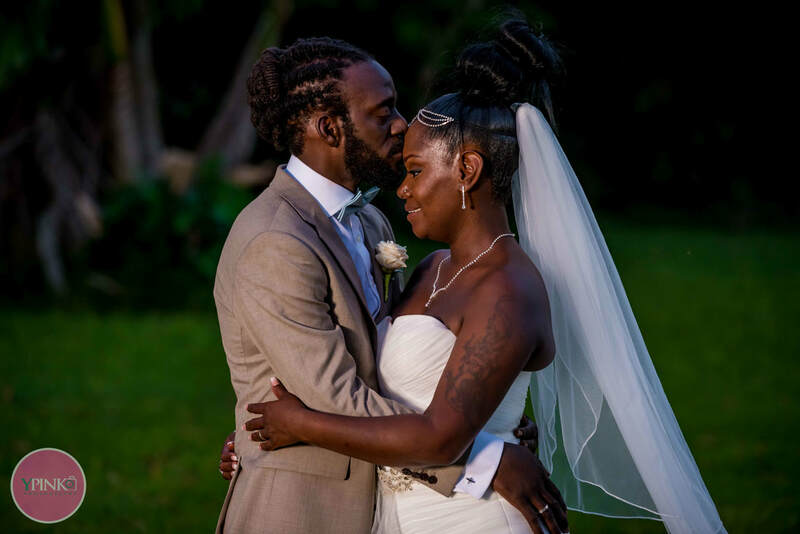 We decided to have our ceremony and reception in Jamaica and we were living in Florida so we relied heavily on her to stay in contact with our Jamaican vendors as well as set timelines and communicate with everyone involved. Whenever we had questions she would respond in a very timely fashion. She always made herself available to talk about the ceremony or any potential issues. As far as the day of rehearsal and the ceremony itself, no matter how hectic it was she handled everything very calmly and very professional. Nishy is top notch and we had the best day of our lives with her help! She was a pleasure to work with and was also very sweet and kind. We have absolutely no complaints....she also worked with us as far as making payments to cover our bill. Very highly recommended! She was friendly to all the families and friends and guest, they all loved her." 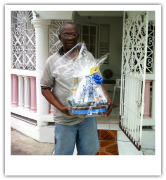 "Thanks much for everything my Mom received the basket and it was by far more than worth it. I really appreciate and am truly grateful!I will definitely be knocking on your door in the future." "Thank you so much for all of your effort in helping us pull off, from all accounts, a great wedding! Overall, everything you did was great. We received many compliments on the work you did and we are very appreciative. " "Thank you so much for making our wedding day so Special! You were very professional, but very personable when dealing with our desires. You handled every detail beautifully and professionally. From answering our calls and emails promptly to the most beautiful and elegant ceremony. Nichelle arranged our ceremony and reception just the way we had envisioned it. Thank you for the time you spent getting to know us and figuring out exactly what we wanted. Our guests and family members were thoroughly impressed with your talents. 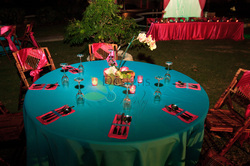 We would be more than happy to recommend your service to anyone wanting to get married in Jamaica. Thanks again for making our wedding day dream come true." 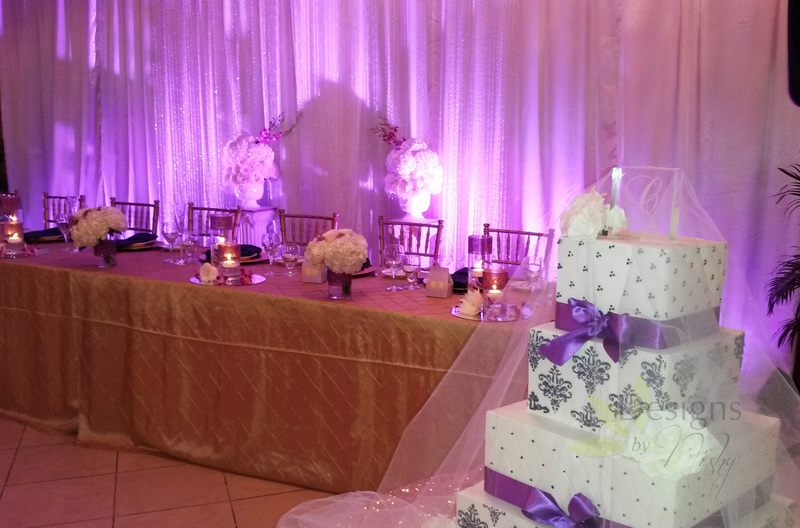 "I can't thank you enough for decorating the wedding to PERFECTION, you totally blew us away with everything!! Everyone is STILL talking about how beautiful and elegant everything looked. It was a absolute pleasure working with you, your professionalism was amazing and you totally 'got me' in terms of my vision and working on Nishy & Olesha time!! LOL!! Its a shame its all over already, wish I could do it all over again. Was an absolute pleasure meeting you and also thank your hubby for coming out. Stay blessed girl, and just in case I haven't mentioned it before YOU ROCK GIRL.....Preston Bailey & David Tutera need to watch their behinds!! - Olesha R. | U.K.
"Designs by Nishy..Nichelle and the team was amazing! Nishy was in charge of the planning, coordination, decoration, flowers and stress-relief (LOL) for my June 29 2013 wedding! It was an absolute pleasure to have Nishy to rely on knowing that it will result in a job well done! She and her team went above and beyond to ensure that not only was the wedding planned, coordinated and beautifully/elegantly decorated. Throughout the whole process, Nishy was able to bring her creative juices to the table and conceptualize what it was that i imagined in my head (i.e. decor..flowers etc.) and bring this to life on our wedding day. Although I'm located in a different country (Canada), Nishy was very flexible ensuring that the lines of communication was always open and we spoke virtually everyday brainstorming thoughts and she provided assurance that things were going as planned or promptly communicated any concerns which she swiftly found reasonable alternatives. On the wedding day..Nishy and her team was out at the venue from the wee hours of the morning (got a text at 5am to prove it =) ) and she coordinated with all the vendors to ensure that they were on time and we were on schedule. Her coordination on the day allowed me to be STRESS FREE...not having a care in the world but looking pretty (and remembering my vows!). The photographer and guests complimented us on how organized/ elegant and well decorated the wedding was..and I continue to rave about how awesome of an experience it was to work with Nishy! 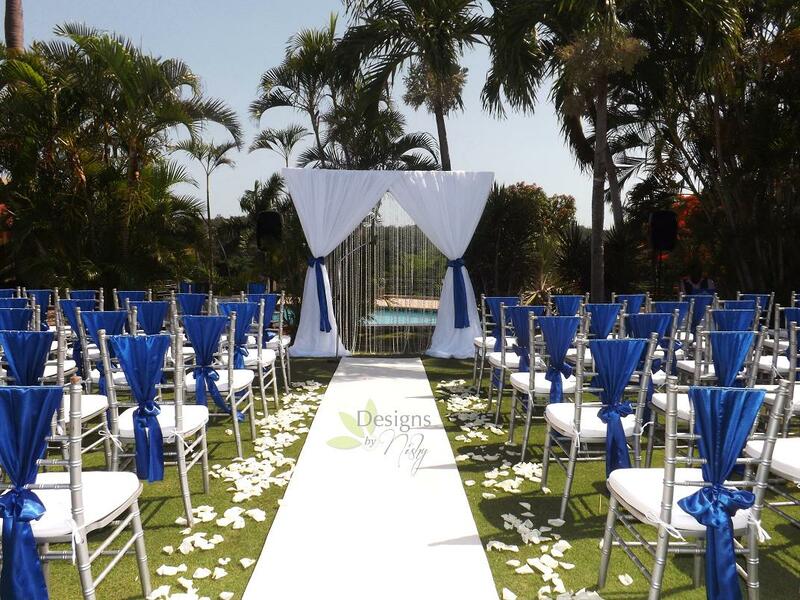 I would recommend Designs by Nishy to all - destination wedding or Jamaican brides..as she will ensure a job well done! Thank you Nishy and the team!" 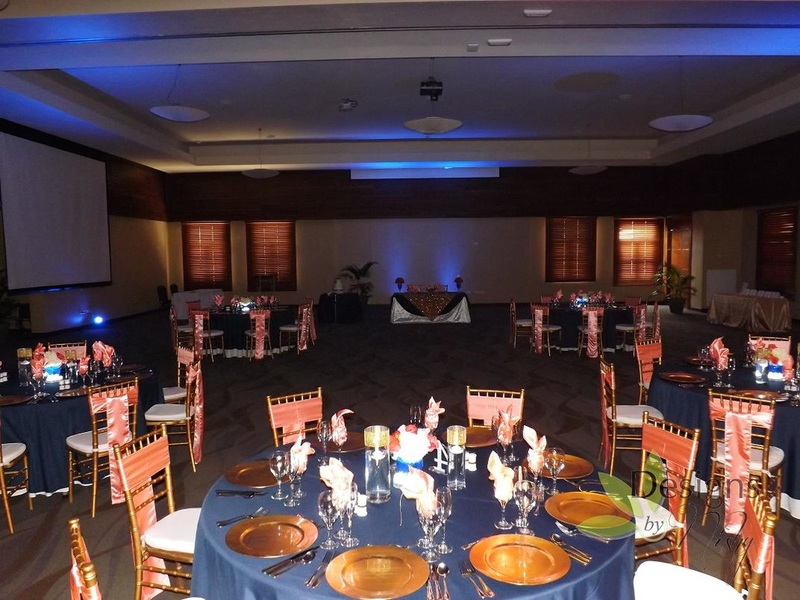 "We were very pleased with the services and planning especially on the day. She was very flexible with our budget and took care to understand our desired concept well; particularly as it was very much different from the typical wedding; so that we get exactly what we wanted at a reasonable price. There were a few challenges with the venue which she handled especially well both before and especially on the day. Challenges with flower vendors were worked around and solved on the spot. A beautifully put together decor for an outside ceremony was quickly and tastefully moved inside when the rain fell. The reception area was breathtaking even though a key furniture item was damaged by the rain (through no fault of theirs) and her skill in working with the venue personnel in making sure things ran close to the outlined plan was very impressive. Our guests were EXTREMELY impressed and have given us countless rave reviews, commenting often that it looked like something out of a magazine (or one that should be in one!). Excellent work!" "Nishy and Hubby, You did such a wonderful job organizing Tony & Shae's wedding. All so beautiful! Thank you for a wedding we will forever cherish." "Your service was awesome, all my guests made a lot of wonderful comments, they thought the setting was beautiful and the wedding was well organized and so did we." "Thanks Nishy for all your help, the décor was wonderful." you and your team did a wonderful job!" "Nishy, I can't even begin to describe how amazing the decorations were! All I can say is "SPECTACULAR"
"Designs By Nishy is just exceptional! They are a cut above the rest! A class act! For my daughter's first birthday I wanted to have a small dinner for her. I told Nish what I wanted and left everything to her. When I got to the location, I was speechless; in awe. 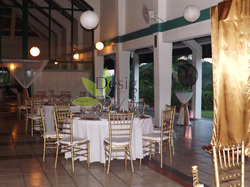 The venue was transformed and fitting for a princess. The decor, the food was exceptional. I could not ask for more, in fact I got more than I anticipated. Designs by Nishy are professional people and ensure that its perfection from the get go. Thanks again Nish!! You are the bomb!" "You displayed great customer service attitude from the beginning. You gave prompt service by following up with me and checking on things like sourcing my hair-stylist, bridesmaid's dresses etc. I know you tried your best to coordinate with Breezes Trelawny - who were uncooperative. 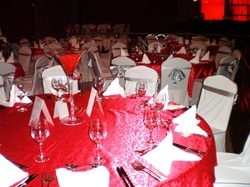 The decor was nice, it looked really good in the photos and I received positive comments from the guests in attendance. Overall, your creativity is great and you are a very motivated hard-working person, so I know you will continue grow and do more wonderful work!" "Nishy this is awesome... Very different from the norm; I think she loved that the most actually"
"Nichelle...thanks for the pic and the great job you did...she absolutely loves it!!!! I finally saw the roses they are gorgeous and I saw the pic of mom...hehe.. thanks so much again..keep up the good work, will def be calling you for anything"
"Thank you- I heard the basket was great! I am very happy with the service, you are doing a great job... I will be ordering more for sure!" " I recently ordered gift baskets for my grandparents through Designs By Nishy and I was floored by the quality and professionalism with which the services were delivered. The arrangements had a personal touch , and the attention to detail was splendid! In the world of lack luster , generic and plain ol' boring designing services , Designs By Nishy is a breath of fresh air and I would most definitely use the services again ." "Thank you for the service you provided. The centerpieces looked great!!!!" 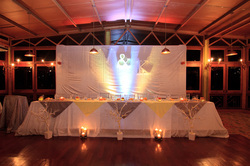 "The setting for our 30th Wedding Anniversary party was a Moroccan Style which was perfectly done by Designs By Nishy. It really added a nice touch to the feel of the event - with so many little details like the centerpieces, lanterns, lighting and colours. It was indeed a great night!"